Every so often I love adding an extra step in to my skincare routine, especially when my skin needs a little pick-me-up. If like me you live in London, you’ll know that on a daily basis our skin is exposed to a whole new level of dirt and grime. Our pores trap these toxins and this can lead to dull, grey looking skin! No one wants dull looking skin in Summer (or any time of year as a matter of fact). Cue the Su-man Exfoliating Facial Polish. It’s an old favourite of mine which I reintroduced back in to my skincare routine in July. I had just come back from South Africa and the recycled air on the plane combined with my daily commute left my skin feeling unloved. 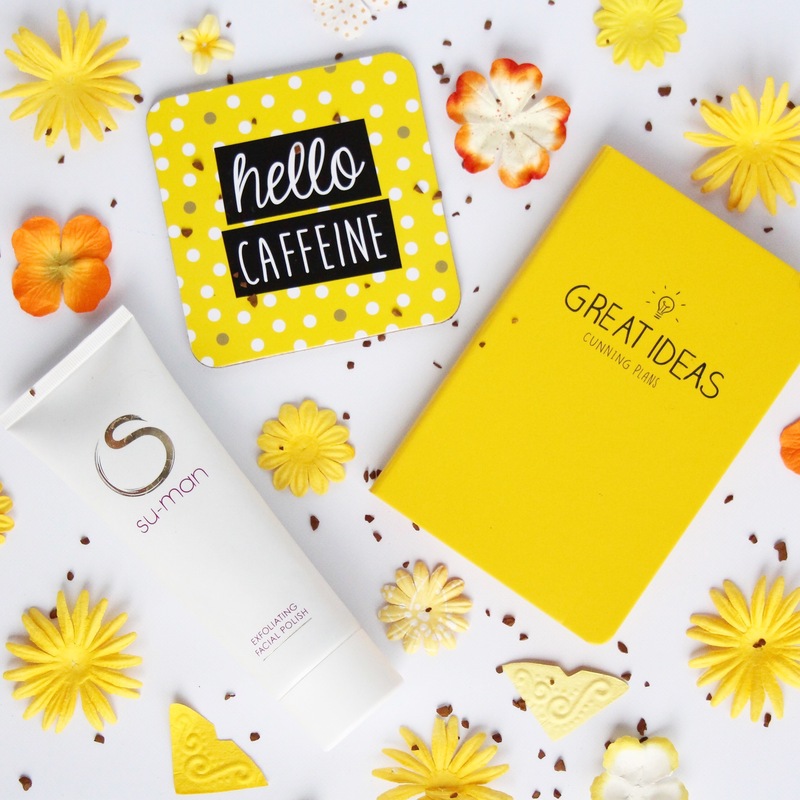 The strong smell of coffee immediately awakens my senses and the coffee grains gently buff away dead skin cells leaving my skin ready to absorb my topical skincare products. 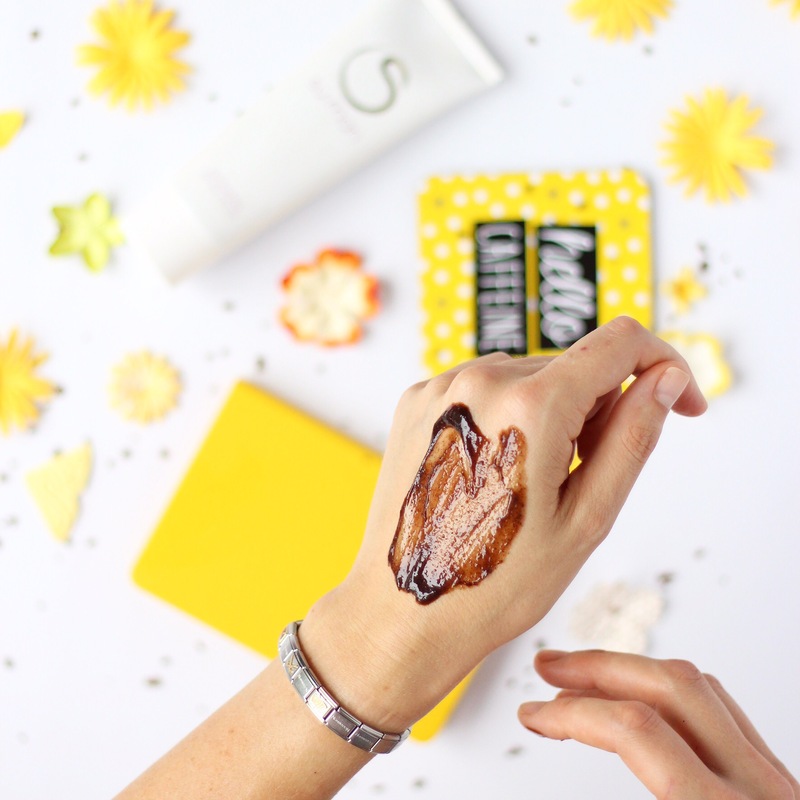 This exfoliator boasts ingredients such as dragon’s blood extract, camu camu and rosehip oil which are all rich in antioxidants and Vitamin C. It’s like a superfood for your skin! I have been using this Exfoliating Facial Polish once a week as my skin can be oily at times. 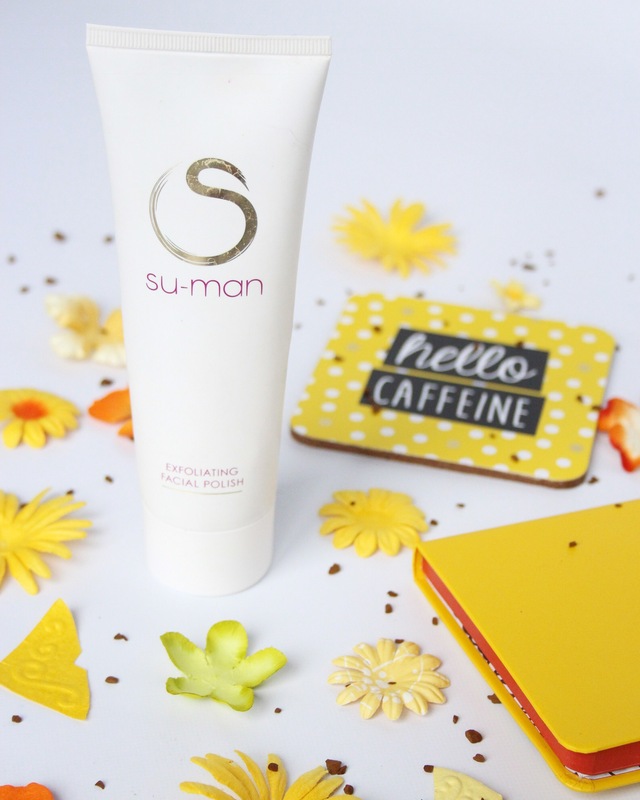 If you have dry skin Su-Man recommends using 2-3 times per week. I usually apply in the shower first thing in the morning so my skin is a little damp but you can also apply to dry skin. I spend a few minutes exfoliating and enjoying the rich aroma of the coffee grains. Not only does it invigorate my senses but it does wonders for my soul too! As this is an oil based cleanser, shake before you open to ensure the ingredients mix together. The first time I used mine a lot of oil came out and not much else. Sounds so refreshing. I need to try this Su-man exfoliater. The coffee aroma alone would help get you going. I’ll be looking for this one. The smell is just gorgeous! I’m always on the hunt for a morning pick me up. This polish looks amazing! I’m definitely going to have to look into getting it!